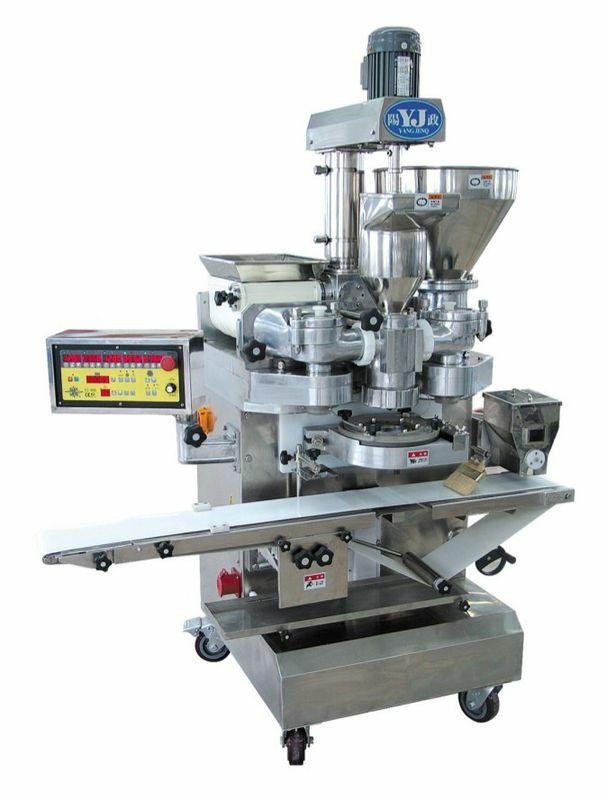 Maximum capacity for small products is 4800 pcs/hr for 30-60g products. 6 independent motors are equipped to control the speed of hoppers and conveyor belt. This design brings more gentle extrusion to the materials. Even better product shape with weight accuracy in less than 2 grams for 30-60g products . The shutters are made of are equipped with high quality UPE materials. Motors, gear drivers, converters, reduction gears are imported from Taiwan for long life shelf. Electric sensors are imported from Japan.Massive design for high endurability. 2 kinds of hoppers(vertical and horizontal) is tested to be suitable for both different kinds of dry or wet filling. Filling:Designed for either dry or wet filling Products. Dough:Designed for most nonelastic dough products. Unique Filling:2 layers filling device is added to achieve unique 2 layer filling products. 1. Advanced design and craft. 2. High reputation and credit. 3. High quality spare parts. 4. Easy operating, cleaning & maintaining.